A Cucurbitaceae given this name by Charles Jeffrey in 1962. It's from Tanzania and Kenya. 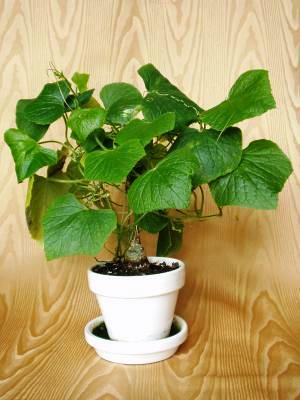 It prefers well-drained soil, moderate water and sun. The caudex can grow to 60 cm in diameter, the vines get up to four meters. It will get crème flowers, but can also be reproduced by cuttings. I got mine from Loulé, Portugal in 2002. It will get red fruits sometimes with green markings, and it's dioecious. 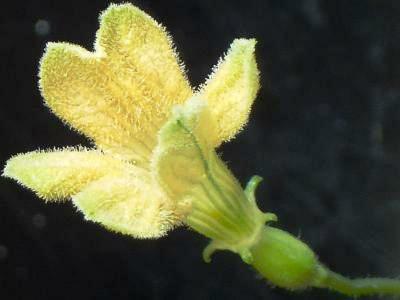 This is a female flower.